Call now to get out of jail fast! 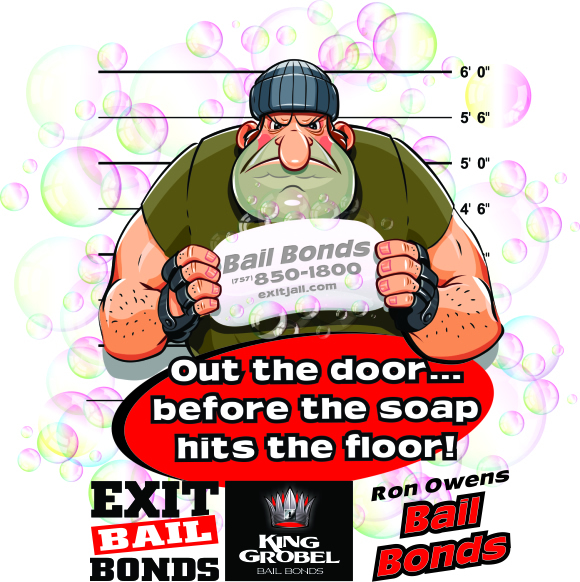 Bail bond service, all jails, all courts, in all U.S. bail authorized states. 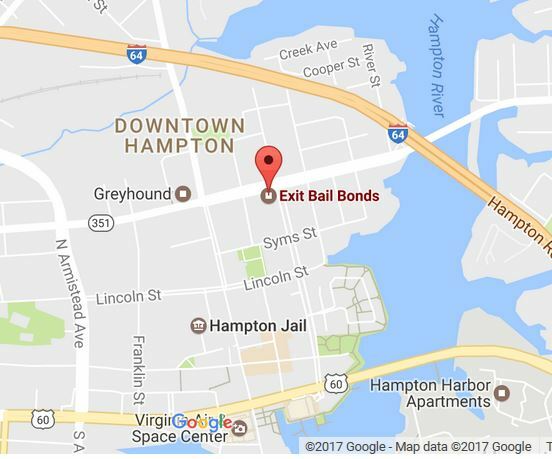 All Virginia jails and courts. With a special emphasis on Hampton, Newport News, James City County, York County, Williamsburg, Virginia Beach, Norfolk, Chesapeake, Suffolk, Eastern Shore Virginia, Accomack County, Eastville, Accomac, Hanover, New Kent, Henrico and Richmond Virginia. All of the Hampton Roads Virginia areas. Nationwide Bail Bonds also available. Immigration bonds anywhere in the U. S.
Money can be sent by Western Union or Moneygram or it can be wired directly to our bank. A bank wire is usually the least expensive method. Call us for bank information. We also take credit and debit cards. The bail fee is 10% of the bond amount. So for example, if the bond is $10,000, the fee is $1,000. In some cases, we can set up a payment plan with an initial payment of 60% of the bail fee. If the bond is $10,000, the initial payment must be at least $600.